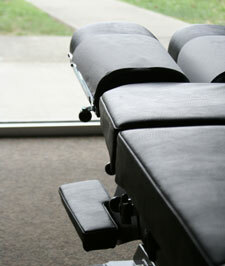 Many people can benefit from being under the expert care of a chiropractor serving Geneva. A chiropractor can help patients who suffer from a range of conditions, including arthritis, sciatic nerve pain, fibromyalgia, migraines, and scoliosis, just to name a few. Chiropractic care is particularly ideal for individuals who suffer from chronic pain. Chronic pain may result from the accumulated effects of poor posture, injuries sustained in a car accident, or injuries stemming from an accident at work. If you live with chronic pain, you already understand the toll it can take on your daily life. You may find yourself withdrawing from favorite activities or having problems with simple tasks. Over time, chronic pain can lead to mental health issues such as depression. Chiropractic care can relieve your pain and restore your quality of life. Chiropractic care may even help you prevent future problems, particularly if your pain stems from poor posture. A chiropractic adjustment will improve your posture by aligning the vertebrae properly.